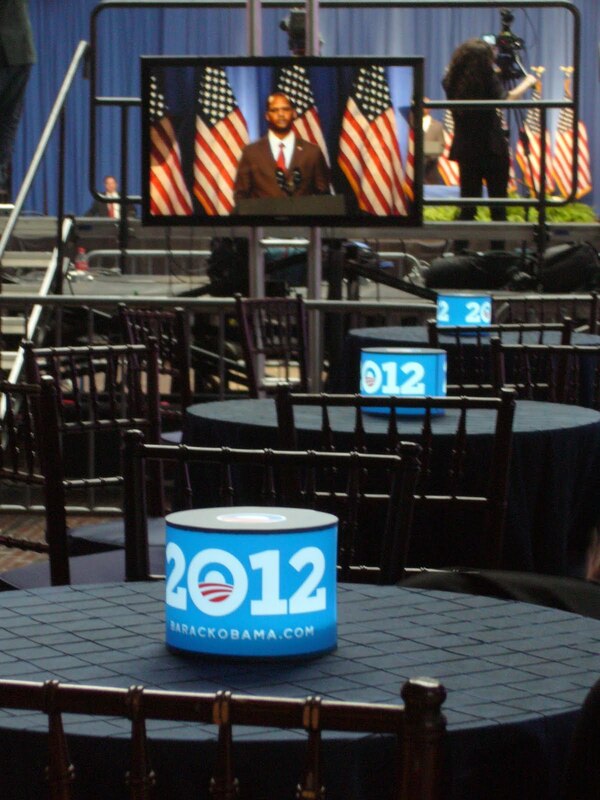 Recently we were asked to create centerpieces for a reception at the Cyclorama in Boston for President Obama's 2012 re-election campaign. The logo for this new campaign is a bold 2012 with the trademark "O". No gradations this time, just a chunky graphic emphasizing the election year with the web address below. In keeping with the minimal logo we decided to design a simple lit circular centerpiece, adding a lid with a lit reveal to highlight the iconic "O" logo. The President addressed a crowd of 900 after introductions by former Boston Celtics great Bill Russell, Celtic player Ray Allen, and Massachusetts Governor Deval Patrick. We were inspired! 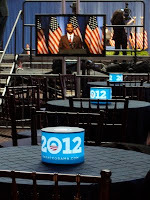 Check out our amateur video featuring highlights of the President's speech.